The nearly 1 million migrants huddled in Germany are proving the perfect cover for a growing jihadist army, says one of that country’s leading law enforcement officials. ISIS fighters determined to carry out attacks in European cities are entering the continent hidden among migrants, a German police chief told the Austrian Press Agency. Hans-Georg Maasen, a federal police chief, said fighters from the Islamic State have come from the battlefields of Syria and Iraq and are “blending in with the migrants and are planning ‘combat missions’ in Europe,” the Daily Mail reported. At least two of the eight Paris attackers, who used automatic rifles, grenades and suicide vests to slaughter 130 people, had reached the city via Greece posing as refugees. Maasen told the Austrian Press Agency his office was aware of nearly 8,000 Islamic radicals inside Germany right now. He said some are recruiting among the migrants, and his office receives at least one credible threat of a planned terrorist activity every week. He described ISIS fighters as “combat-hardened professionals” more dangerous than those from al-Qaida. WND reported earlier this week that a new report from the Threat Group, an independent national security assessment firm, estimates that “thousands” of ISIS supporters are now located in the United States as well. The U.S. has imported more than 3 million refugees since 1990, approximately half of them from Muslim-dominated countries such as Somalia, Iraq, Afghanistan, Democratic Republic of Congo, Sudan and now Syria. 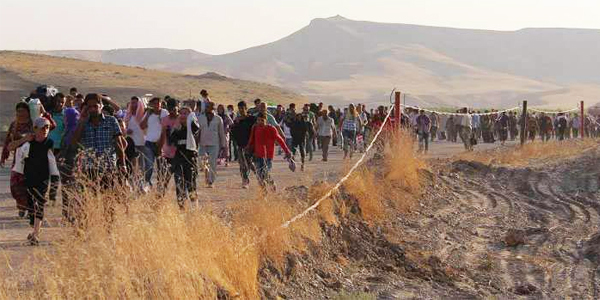 The refugees are hand-selected by the United Nations High Commissioner for Refugees. Maasen said nearly a dozen terrorists have been arrested with fake Syrian passports that are nearly identical, including the name. Only the photograph is different. 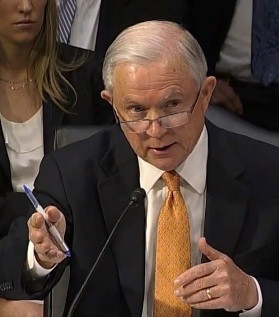 As WND reported last month, Sen. Jeff Sessions, R-Ala., described in an Oct. 1 congressional hearing the thriving black market in Syrian passports. He said these passports can be purchased for as little as $200. He then grilled an Obama administration investigator in charge of the vetting process for Middle Eastern refugees, Matthew Emrich, and asked him point-blank if the U.S. had any independent databases on Syrian refugees that it could use to cross-check their backgrounds and verify their identities. Emrich, associate director for Fraud Detection and National Security Directorate at the U.S. Citizenship and Immigration Services within the Department of Homeland Security, was asked by Sessions if his department had access to even a single database in Syria that could provide solid background records on refugees to confirm a refugee is who he says he is. “Can you name a single computer database outside of maybe some of our own very small but valuable intelligence databases for Syria that you can check against? Does Syria have any?” Sessions asked. But the Obama administration continues to stress a different narrative – that foreign refugees are “the most heavily scrutinized of all travelers into the United States” and that they are made up of “some of the world’s most vulnerable” widows and orphans. On Nov. 24, Jeh Johnson, the U.S. secretary of Homeland Security, put out a video and press release that hit hard on these themes, saying the majority of refugees from Syria will be women and children and that they will be subject to a “robust” vetting process. Refugee watchdog and blogger Ann Corcoran called the DHS video a “shameful propaganda piece” that defies both logic and the facts. Even the United Nations’ own data on Syrian refugees acknowledges that the majority are men of pre-retirement age. The German police chief’s warnings came just nine days after it was reported that eight migrants have reached Europe using documents almost identical to those carried by one of the Paris suicide bombers. The passport, found near the body of one of those who participated in the massacre, identified him as Syrian. It showed he claimed asylum on the Greek island of Leros last month with the fake Syrian passport in the name of 25-year-old Ahmad Almohammad, the Daily Mail reported. But nine days ago, Serbian police revealed they had arrested a man carrying a Syrian passport that was almost a carbon copy of the one found on the ISIS bomber’s corpse.